Discover the experiences, places, and journeys that make Australia one of the most desired holiday destinations in the world. With its cosmopolitan cities, rich indigenous culture, spellbinding coastlines, revered food and wine, the Australian outback, untouched nature and wildlife, and plenty of options for travelling within the great country, you’ll soon realize that you may need more time than expected to get to know Australia. 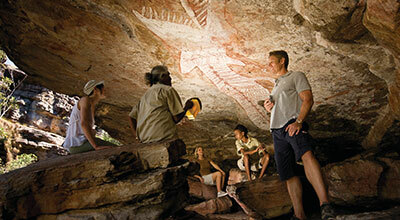 Explore Australia’s Aboriginal experiences. Visit Australia's Red Centre and walk around the base of Uluru with an expert guide. Traverse the Outback in a jeep tour. From short trips to epic self-drive vacations and 4WD adventures, Australian road trips cover every length and landscape. Sip grapes from Victoria’s famed Yarra Valley, home to over 80 wineries, renowned for producing Australia's finest pinot noir and sparkling wine since 1838. Take a moment to appreciate the sacred rock formations of Uluru via camel rides to skydiving to helicopter tours. Catch a game of Australian Rules Football, Australia’s most attended sporting league which was created in 1859 and now has 18 teams. Explore hundreds of dreamy islands on the Great Barrier Reef, through a boat ride, scuba diving or an afternoon snorkel. Set up a beach towel on some of Queensland’s more than 35 miles of pristine coastline. Watch the waves roll in or grab a board and take surf lessons. Experience Australia’s biodiversity firsthand on a caravan or camping trip to see koala’s in the wild, humpback whales in migration and ancient rainforests. Play golf in some of the most scenic and varied landscapes in the world, including 6 of the world’s top 100 golf courses. Bicycle Australia on city paths around Brisbane, downhill mountain biking trails or long-distance adventures, or experience the fun of our great cycling events. Hike Tasmania's World Heritage-listed wilderness on the Overland Track or follow the Larapinta Trail across the Northern Territory's West MacDonnell Ranges. Enjoy a mouth-watering steak in Rockhampton, Queensland, Australia’s beef capitol. 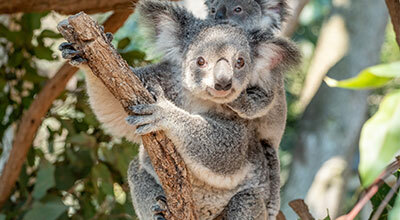 Contact one of our travel experts to start planning your own Australia getaway.